This week I am delighted to welcome back Charles Lambert, one of the most consistently brilliant authors I’ve discovered through running the Literary Sofa, especially as we finally met in person at his launch last week. 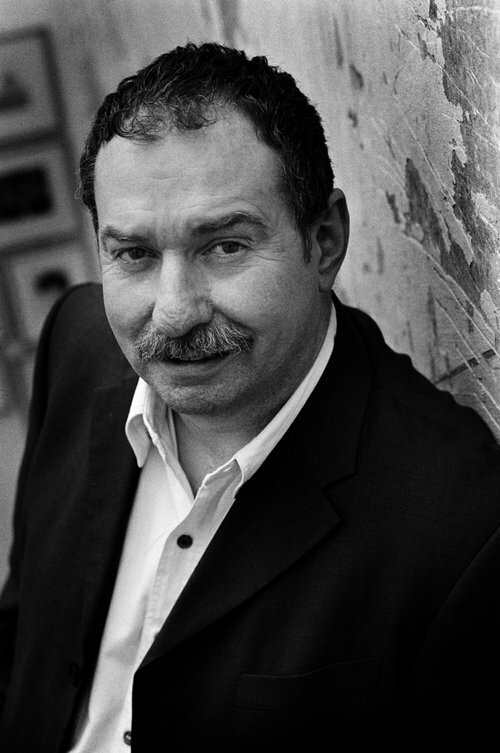 Charles first appeared here on publication of his beautiful and moving novel-in-fragments With a Zero at its Heart; his entirely different The Children’s Home was one of my Books of 2016 despite not having been featured on the blog (I don’t always get my act together) and with his latest release, he remains in that terrifying, horror-laden vein. Series Three of Fargo opens in an interrogation room in East Berlin in 1988, the year before the fall of the Wall. A man has been accused of a crime he didn’t commit. It’s a case of hamfisted bureacracy, of mistaken identity, but the interrogating officer won’t accept that the man being questioned is a married German citizen, and not a Ukrainian immigrant with his girlfriend’s blood on his hands. The information he has, an address, a name, is proof enough; is the truth. Because if it isn’t the truth, the state has made an error and that cannot be conceived. At times almost—but not quite—comically bleak, at times perversely cruel, the scene is ultimately horrifying. It’s horrifying because there is no way out. Many years ago I wrote a piece of what would now be called flash fiction about a soldier who was sick on the shoulder of his companion. Back at the camp, an officer had the soldier whose jacket was soiled with vomit summarily arrested, charged with disrespect to the King’s uniform and brought to trial. The punishment for his crime was death by the sword. The soldier pleaded that he could not be held responsible for the fact that his companion had eaten stale fish and fallen ill. But the judge disagreed. The soiled uniform belonged to the soldier. How it became soiled was of no consequence. But there were witnesses, the soldier said. And if there had been no witnesses, the judge said, would you be any less innocent, or less guilty? The only justice is absolute, the judge said, and absolute justice admits neither witnesses nor mitigation. And so the soldier died. I remembered this story as I watched Fargo, its relentlessness, its refusal to listen to reason or accept logic, and the unremitting nature of the evil in the rest of the series as lives were destroyed in its path. And it made me think about what it means to be trapped, as the German man was, and my unfortunate soldier with his dirty jacket. What do you do when there is no way out? Both the stories in Two Dark Tales deal with the notion of entrapment, in a physical sense, but also in a moral sense, as though a path once taken cannot be abandoned, as though there were no other choice than to follow its awful reasoning to the end. I’ve spoken elsewhere about retribution, and this is certainly how the juggernaut of retribution works, in horror fiction if nowhere else, but a sort of unearned retribution can—and all too often does—ensnare the innocent as well, the bystander, the person who just happens to be there when something occurs. A stray bullet, a bomb, a letter that once opened can never be closed again. For every grieving parent like the ones in The Monkey’s Paw, whose blind love makes them finally responsible for their fate, there is a Winston Smith, a Josef K., perplexed, resourceless in the face of a a system that engulfs him and that refuses to hear him, while at the same time bringing all its brutish, impersonal weight to bear on him, as though, paradoxically, he were all that mattered. We all have our personal nightmares. Rats. Heights. Blindness. Our own Room 101. The worst thing I can imagine, although I would rather not, is to be trapped underground, in a passage that’s barely wide enough for me to wriggle along, and then to understand that even that wriggle-room—such a deceptively comforting phrase—is no longer there and I find myself with no way forward, no way back, the mass of the earth upon me, held. Just the thought of it and I break out into a sweat. Of all the perversities through which people seek gratification, edging along on one’s belly through a crack in the earth has to be the most inexplicable. My father wanted to be cremated, because even the thought of being consumed by flames was preferable to the thought of being buried alive. I’m with Dad on that. But second to that, and only just second, is that other sort of entrapment: the idea of being wrongfully accused, and to know that you are innocent and that your innocence is no protection. That, paradoxically, your innocence makes you even more culpable. At the dead centre of Jack Squat is an unjustly imprisoned man; the story examines the repercussions of that injustice, the ‘moral corrosion’, as Owen King has put it, that leads a search for a refuge into a place without an exit. Because sometimes a refuge or what ought to be a refuge, like the law and the idea of justice itself, can become a trap. Alternatively, as Billy Lender discovers in The Niche, what looks like a trap can become a refuge. And that can be even worse. Thank you to Charles for this great piece which freaked me out almost as much as the book itself – like him I suffer from terrible claustrophobia and find it almost as difficult on screen, the page and in my head as in real life. My taste in fiction is pretty dark. I love charged themes, complicated people and impossible situations (don’t I sound fun? ), and these two stories certainly fit that bill. But they also remind me that there is dark and there is DARK. Like Lambert’s novel The Children’s Home, these are genuinely horrifying, but subtle and unique. Jack Squat, the longer of the two and the one I most appreciated, subverts the cliché of the rural Italian idyll in a way that’s delicious and very funny whilst at the same time creepy, revolting and Rabelaisian in its scatological detail. That must be incredibly difficult to pull off but it’s made to look easy! The depiction of the troubled relationship between accidental estate agents Gordon and Omar is touching and painfully realistic. It’s all vividly imagined and, as ever, delivered in crisp and vibrant prose. Although these qualities are just as evident in The Niche, between my fear of enclosed spaces and an instinctive reaction to anything nasty involving children (bullying, here), it wasn’t the kind of horror I can take pleasure in; where each reader draws the line on sensitive subjects is a complex business but there’s too much safe and cosy stuff out there and a place for fiction which puts boundaries to the test. 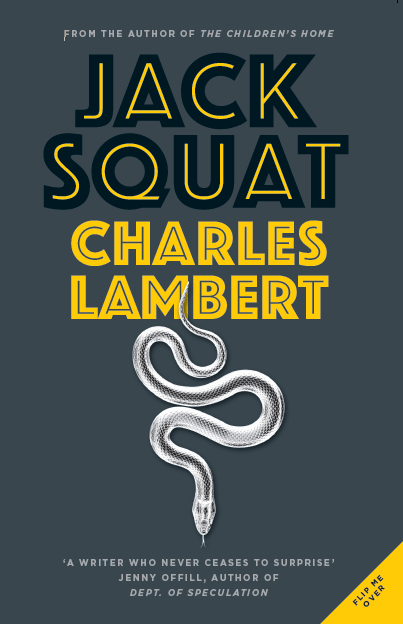 I can’t wait to read Charles Lambert’s next novel, a family drama and ‘queer coming of age tale’ Prodigal which is out next summer – now that really does sound my kind of thing. Have forgotten to schedule anything for next week so will have to write it myself. I’ll think of something!